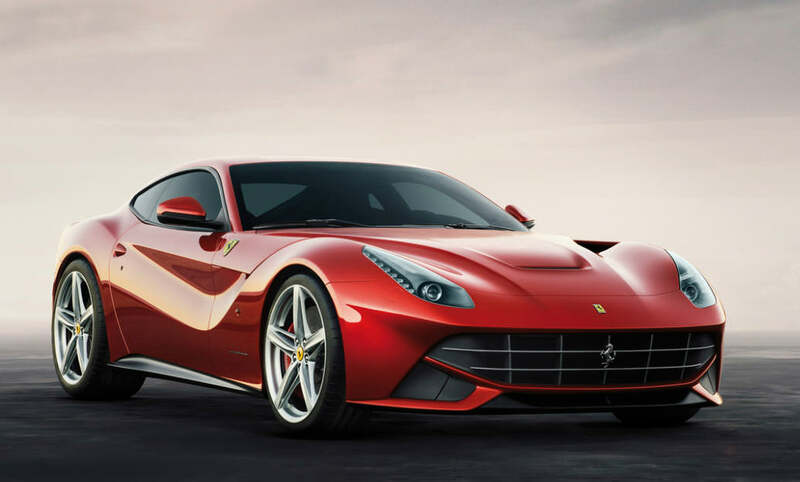 The new replacement for the 599 GTB Fiorano, one of Ferrari’s oldest and most popular models, is finally here and it’s a show stopper. 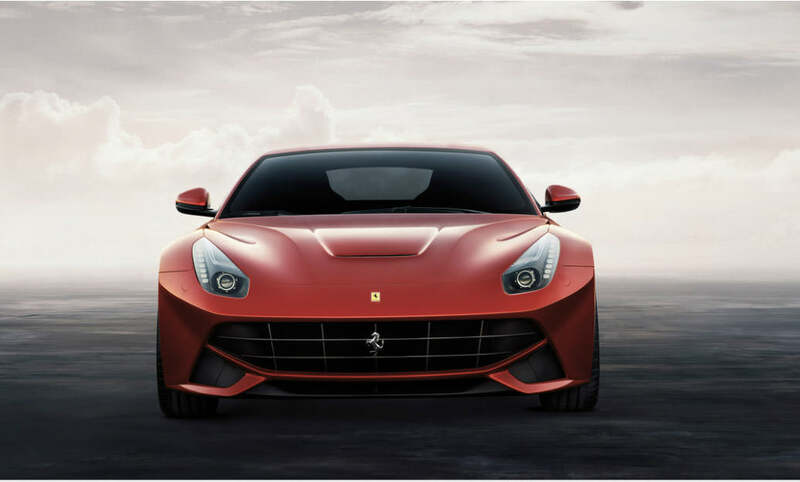 While some of the design is reminiscent of prior Ferrari models, the Berlinetta’s finished design is completely new, extremely functional, and has that powerful Ferrari presence. Although this model is slightly smaller than earlier designs, the car still packs a powerful punch. The 6.3 liter V-12 engine provides an amazing 730 horsepower at 8000 RPM. This is Ferrari’s most powerful engine on the road, performing even better than the original 599xx Racer. 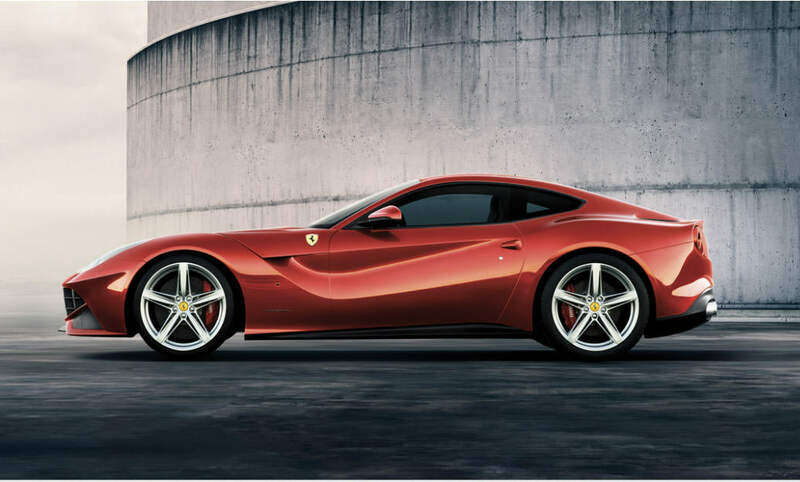 The dual clutch gearbox allows the Berlinetta to accelerate from 0-62mph in as little as 3.1 seconds. Due to the aluminum space frame of the car, it’s not only a touch smaller, it’s lighter. 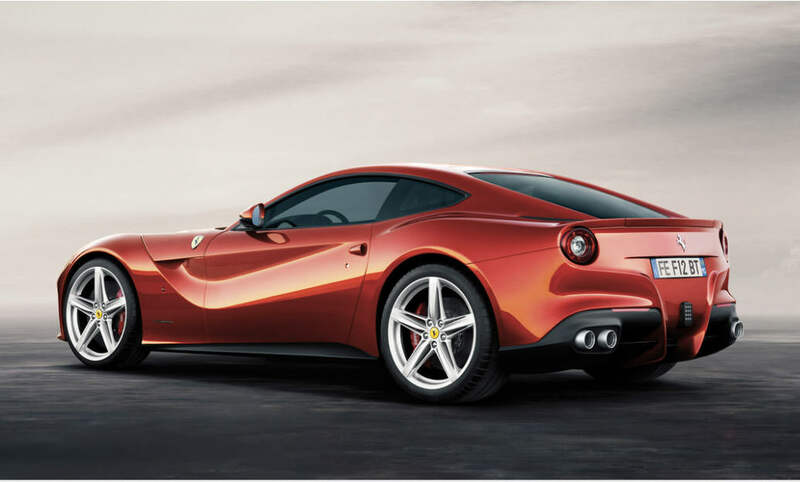 In fact, it’s a full 360 pounds lighter than the 599 GTB, which gives the F12 superior performance and handling, enhanced by the 7 speed dual clutch, which easily shifts weight to the back end of the car. 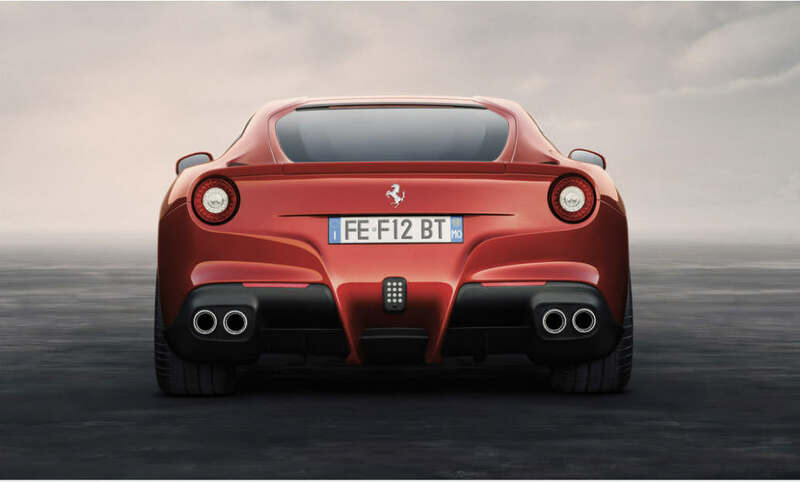 There is an optional start and stop system available, which improves the Berlinetta’s fuel economy up to 30%, and reduces emissions by nearly 16%. The design is sleek, featuring a larger front grill and front fenders that wrap, letting the hood come down the sides of the car. The “Aero Bridge” scoops, part of the design located between the cowl and the front wheel arches, is said to channel air from the front to the sides, reducing drag. Interior features are top notch. The dash is redesigned with a sleek navigation unit. 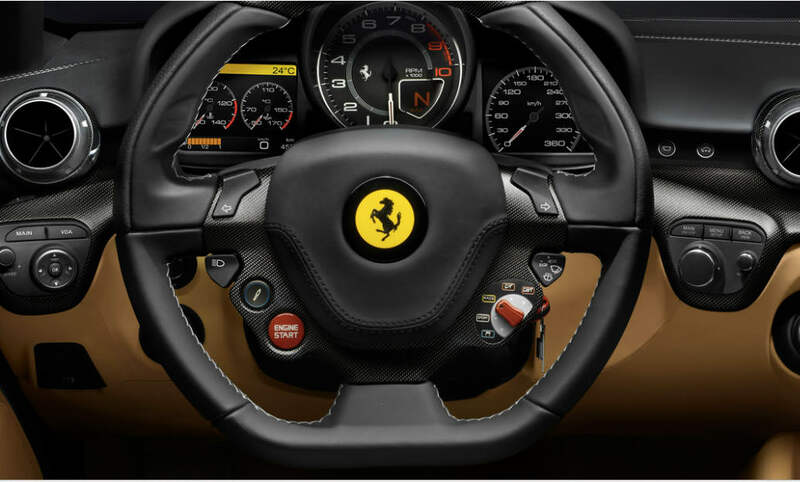 The steering column holds the switches that control the display screens. Interior colors and finishes can be customized to the owners discretion. Early looks at the new model have shown the interior covered in Frau leather with touches of trim.